Michael has created a channel focused company that is passionate about helping our partners grow their business, through innovative sales, marketing, and technical activities. A proven thought leader with vast experience in both the technical and commercial aspects of this fast-changing industry. Francis is a true technologist with a unique understanding of the needs of the channel and their end users. Roberta is responsible for all aspects of marketing, including the company’s overall marketing strategy, all our vendors marketing, corporate communications, demand generation, channel marketing and social media strategy. Brian is passionate about bringing disruptive technologies to market. He works with our channel partners and vendors to maximise revenue by supporting them to build pipeline and close business. David has been with DS for over 15 years. His role includes the management of all sales activities for our Security and Networking division encompassing numerous world-class vendors such as Check Point, HPE Aruba and RSA Security. Alan has been a member of the DataSolutions team since 2010. He is responsible for all things financial, from securing credit for our partners to designing and maintaining our ERP systems and managing working capital. Warren manages the go to market strategy as well as the team and vendors in the UK. Not only is he passionate about our customers but his experience within the channel offers extensive knowledge of the UK vendors. Andy manages our UK security division. With over 20 years in the industry, he is committed to understanding the needs of partners and aspirations of vendors in order to work together to help accelerate common goals. Ed is the man to talk to about all things Citrix and IGEL. Since joining DS in 2011, he has grown to become a strategic partner for his customers by focusing on creating and expanding sales opportunities. Jonathan is our product manager for security and UC products; Check Point, RSA and Mitel. With over a decade in the IT industry, he is our subject matter expert on these products and handles everything from channel development to account management. Bernard manages the Citrix, Nutanix and Arista accounts for the data centres team. What sets Bernard apart is his interest in learning about his client’s goals to best leverage what DataSolutions has to offer. Jennifer is responsible for all our channel development activities related to HPE. With over 10 years’ experience in IT distribution, she is committed to growing and maintaining effective partner and customer relationships. Laura has expert skills and knowledge in driving and implementing channel marketing activity for partners and implementing channel campaigns in order to expand market share and pursue growth targets for vendors. John has been with DataSolutions for over 25 years and manages one of the most tightly run distribution logistics divisions in the UK and Ireland. Ronnie is our resident technical wizard for data centres, from virtualisation to hyperconverged infrastrucutre. Natalie looks after purchasing activities for the security team as well as our admin and accounts payable. Her attention to detail and focus on supplier and customer needs, has made her an integral member of the team. Sinead is responsible for everything in our accounts receivable/payable department; from managing our debtors and creditors, to looking after general accounts and admin duties. Cal assists the security team to ensure each order and quote continues to be seen to. 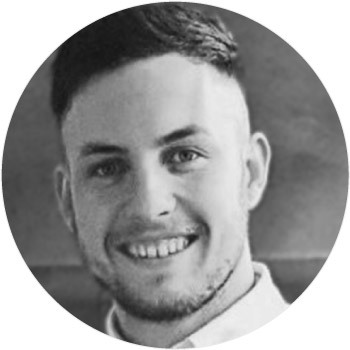 After spending 5 years working in retail and customer service, Cal joined DS to progress into business tech sales after graduating from DCU. Adam creates and leverages long-term, trusting relationships with our partners. He connects with key industry stakeholders and identifies new business opportunities with the end goal to deliver top class customer service. 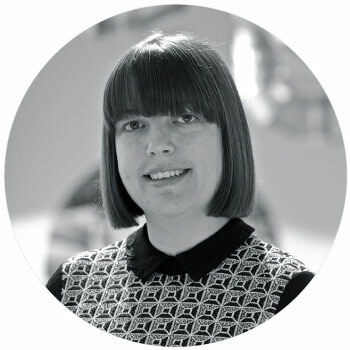 With over a decade of experience within the IT industry, Dawn is responsible for channel marketing in the UK. She has a very hands-on approach and is constantly striving to develop and implement marketing strategies to maximize new business opportunities with partners and vendors. Anthony is responsible for preparing and submitting orders for our vendors as well as a wide range of administrative functions. With a customer focused approach, he ensures logistic operations run smoothly and on a timely basis. Motivated by growing the UK channel, Chris has an active role in raising brand visibility through his extensive product knowledge. His experience serves as the foundation to build strong relationships with vendors and customers. Katie-Anna is passionate about all things marketing with a specific focus on inbound techniques and digital media. She is dedicated to the marketing communications wheel and driving the integration of every piece throughout our messaging. Mark’s beginnings as a desktop support engineer was fueled by his interest in Citrix virtualisation and the Nutanix hyper converged private cloud infrastructure. When not keeping the lights of our local and overseas infrastructure on, Mark enjoys running.